Why aren't my ad clicks displayed on my dashboard? If you are not seeing any data at all, you probably still did not install the tracking template and tracking code. Both can be found along with instructions as to how to install them inside your dashboard. 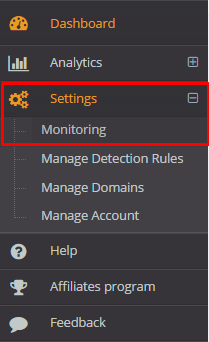 Go into the settings tab and then into the monitoring sub-tab. If you are seeing organic traffic exclusively, this probably means that you have not turned auto-tagging on in Adwords. By turning auto-tagging on you will be enabling our system to differentiate between clicks them come from your ads and traffic that comes to your website organically. 2. Cilck the Campaigns tab. 3. In the left menu, click the Shared library.